FRAUNHOFER FRAUNHOFER-GESELLSCHAFT ZUR FOERDERUNG DER ANGEWANDTEN FORSCHUNG E.V. Die Fraunhofer-Gesellschaft ist die führende Organisation für angewandte Forschung in Europa. Fraunhofer betreibt derzeit 67 Forschungsinstitute. Das Fraunhofer-Institut für Umwelt-, Sicherheits- und Energietechnik UMSICHT entwickelt angewandte und industrienahe Verfahrenstechnik. Auftraggeber von UMSICHT sind Industrieunternehmen, Dienstleistungsunternehmen und die öffentliche Hand. Fraunhofer UMSICHT ist der Koordinator von SUSMILK. Fraunhofer entwickelt, testet und demonstriert die auf Membrantechnologie basierenden Prozesse (CIP-Recycling, Milchkonzentrierung). Die schonende Trocknung von Milchkonzentrat erfolgt auch im Rahmen des Projekts. Das Gesamtkonzept einer grünen Molkerei wird entworfen und simuliert. LNEG Laboratorio Nacional de Energia e Geologia I.P. LNEG is a Ministry of Economy and Employment entity and carries out research, testing and technological development in the areas of Energy and Geology. Bioenergy Unit has 25(+) years of experience on biogas and bioethanol production and is working on Biomass Deconstruction, Cell Factories and Enzymes, Biochemical Engineering and Microalgae for Bioenergy. Leader of WP4 on Wastewaters for biogas and bioethanol. Participation on Concept for a “green dairy” (WP5) and membrane processes on Processing of product streams (WP3). 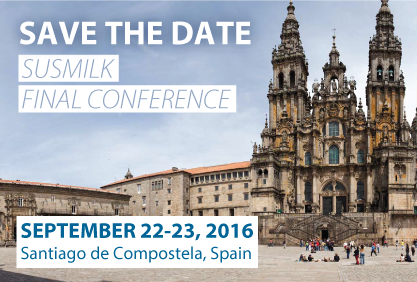 Leader of WP5 on concept for a green dairy with focus on innovative technologies and participation in Process Simulation (WP6). The NTNU at Trondheim is one of the best Norwegian Universities both in terms of graduate/post-graduate education and research quality. About 3000 persons are employed for performing research and education, it has totally 7 faculties divided in 52 departments. Technology and natural sciences are NTNU’s fundamental strength. One of the research direction within Department of Biotechnology at NTNU is food quality assessment. NTNU leads Diagnosis and data collection (WP1). Using its scale in molecular characterization of processes, it applies mostly high resolution Nuclear Magnetic Resonance (NMR) spectroscopy for characterization of raw milk concentration as well as sustainable re-usage of relevant waste water streams (WP3, WP4). KTU is the largest technical university in Lithuania, one of the leaders of R&D in physical and technology sciences. KTU Department of Food Science & Technology is actively working in the developing of novel sustainable food production strategies using industrial biotechnology tools to increase yields, quality and safety of food products without environmental harm. KTU is involved in the development and selection of biotools that helps the dairy industry to increase efficiency of waste treatment for energy (biogas and bioethanol) or lactic acid production from whey and wastewater. In addition, KTU is involved in the data collection for the LCA of milk processing. Grazina Juodeikiene, Prof. Habil. Dr.
FINS is one of the leading institutions in food and feed research in Serbia and the Balkan region. It conducts analysis using sensory, physical and rheological, chemical, micro analytical and microbiological methods. FINS has sophisticated laboratory equipment, thus bringing it to the level of the best equipped laboratories in the region. Besides doing research it also provides services for food and feed industry. Analysis of CIP and waste waters in dairy industry, their collection, chemical and microbiological analysis. Reduction in CIP water spending and analysis of potential for use of waste water for biogas production. General work on re-use of CIP water and further utilization of waste water for energy production. UNIPR is a State University, as such, it is self-governing and has administrative, organisational, and accountancy autonomy, providing services to the general public. The Department of Food Science is composed by professors and researchers from different “food” areas and research fields including technology, microbiology, chemistry, human nutrition, safety. 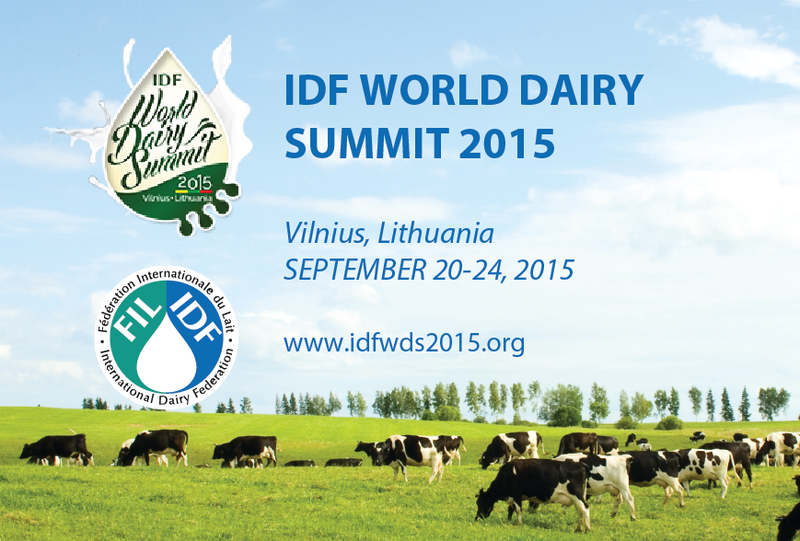 Sampling procedures, assessment of concentrated milk deriving by the membrane technology and of whole dried milk products deriving from the new drying technology, green dairy conceptualization (WP5) and demonstration (WP8) assessing fluid and dried streams quality and safety characteristics. The Aula de Productos Lácteos (APL) is a training and research centre founded by USC in 1993 with the aim of giving integral support to the dairy sector. Areas of activity: 1- R&D of products and processes; 2- Continuous training for dairy industry; 3- Physical properties analysis and sensory analysis for the characterisation of dairy products. USC will carry out the comparison of conventional and new technology for drying monitoring the hygienic safety and supporting Galician partners in demonstration task and in the analysis of the obtained products. Valorization of milk components (others than lactose) by using of microparticulation technology (WP4). SIMAKA was founded in 2005 by Karsten Uitz. The company develops, produces, and sales efficient high temperature heat pumps SIMACOVERY®, thermal brine-water and water-water heat pumps SIMATRON®, drying plants and waste air purification plants SIMASOLVENT®. A capacity range of 2,5 kW to several MW can be covered. Heat sources from up to 60 °C could raise the temperature level to more than 100 °C. A new heat pump will be developed that will cover the temperature range of approx. 80 °C input and approx. 120 °C output. This will allow saving energy and water within a dairy. Solar thermal collectors: a special cylindrical configuration of the CPC reflector enables even the diffused component of the light to be absorbed and converted into heat. Biomass boilers: attractive designs, intuitive operation with touch-screen technology, compact builds, and residue-free combustion utilizing gasifier technology. SOLARFOCUS will develop and demonstrate sophisticated solar heat system, including the integration of weather data, the combined heat supply with a biomass boiler, and a remote controlled system. Furthermore high temperature solar heat collectors will be developed. This will allow to supply high temperature processes or absorption chillers. ACRAM has worked for more than two decades, producing plants and equipment for the food, dairy, and wine industry. ACRAM is specialized in the field of measurement and sampling of milk and has also considerable expertise in highly specialized micro-filtration and process automation for wineries. It has a well-equipped laboratory and thus provides an efficient metric verification of measuring instruments for products and liquids pertaining to the food industry. ACRAM role in the project is the development, construction, assembly, and testing of a pre-concentration system prototype for raw milk using membrane separation. This will significantly reduce the transported milk volume. The functionality of the system will be demonstrated on site at the dairy. Parker Hiross is part of the Filtration Group of Parker Hannifin Corporation, the world's leading diversified manufacturer of motion and control technologies and systems. Parker’s Hiross Zander Division has over 80 years of experience in the development, manufacturing, application and sale of innovative technical solutions in air and gas filtration, drying, separation, cooling and purification. Parker will contribute in the overall design, development and testing of the new absorption chiller prototype, leading the work of component specification and, together with Fraunhofer and Feiraco, demonstrating and evaluating its performance in an appropriate environment on a 24 h basis. Queizuar is an SME, created in 1997 that produces traditional PDO cheese. It is located in Galicia the leading milk producer region in Spain, with approximately 55 % of the Spanish dairy farms. Nowadays, Queizuar-Bama processes 50.000 liters per day to produce 3 types of cheese: Arzua Ulloa Protected Denomination of Origin, Tetilla Protected Denomination of Origin, and Fresh cheese. Queizuar is aware of the environment and sustainability. Their last four R&D projects were focused on reducing the fossil fuel consumption and reducing the cheese whey impact on the environment. Continuing with the effort of the company to contribute to a low resource consumption Queizuar will test an innovative solar heat system and a biomass oven in its facilities. FEIRACO is a Spanish dairy cooperative founded in 1968 in Barcala's valley near Santiago de Compostela in Galicia. Its partners are livestock farm owners which share industrial facilities and technical services for milk and dairy processing, a factory of feed supplements, a cogeneration plant for the production of steam and electricity, and zootechnical and agricultural advisors. It employs 198 people. It has over 10 M€ in capital and an annual turnover of 100 M€. FEIRACO has expertise in multidisciplinary and international R&D collaborative projects and is going to test a new system for cold generation. They will participate in the demonstration of a new absorption chiller prototype, will define parameters for a system optimization, and will deliver data for process simulations. Karwendel is a large enterprise founded over 100 years ago and one of the most successful private dairy companies in Germany. Its soft cheese, fromage frais and cheese specialties are distributed under the established brands Exquisa and miree. Karwendel already made some important steps to a “green dairy” (cogeneration, heat recovery, etc.) and invests each year up to 10 M Euros in new products and processes. Karwendel will lead the demonstration activities (WP8) and show further potential of the new heat pump for energy and water, supporting Simaka with advice re system integration into the dairy (WP2) and adjusting their infrastructure for the demonstration. From a simple cooperative dairy Mlekara (SME) has successfully managed to develop into a regional dairy company. The full automation of the fermented dairy product plant was finished, and it consists of new equipment for milk standardization, milk and fermented cream pasteurization and homogenization, fermented dairy product production (yogurt, fermented milk, fermented cream, new probiotic and low-calorie drinks). Analysis of water and energy use in production process. Collection, analysis and distribution CIP wastewater in order to optimize water use. In addition Mlekara will help to develop a low-cost system based on their own facility to implement into existing CIP-systems to generate additional water savings. Wiegert Milch is a family owned company founded in 1921 that has its own established logistics for milk collection and is able to produce custom-made products with defined concentrations of fat and dry mass including concentrates, cream, pasteurized, and homogenized milkas well as half convenient and convenient blends (custom-made). Wiegert Milch e.K. is expecting to demonstrate a new type of milk-filtration in one of its factories in Germany. Richtvert (SME) is an innovative company whose core expertise is the development and application of exergy-based analysis methods. The ExergyPass is an innovative graphical assessment tool that allows to characterise almost any industrial process in order to assess efficiency and resource consumption, therefore supporting the decision between technology investment alternatives. Richtvert will conduct a exergy-based analysis (WP1, WP7) supporting in the optimization of system components (WP2), developing the “green dairy” model (WP5, WP6), combining LCA with exergy analysis to allow a unified approach to system evaluation (WP1, WP7). Founded in 1998, its core business is research, consulting, review, and training in the field of Life Cycle Assessment (LCA). Fairness, independence, and transparency are the main characteristics of our consulting philosophy. We work issue-related and accomplish our analyses without prejudice. We offer a fair and competent consultation, which enables our clients to control and continuously improve their environmental performance. ESU-services is responsible for the LCA of the new technologies developed in the SUSMILK project. In the first step an LCA of a generic dairy is prepared. In the second step different improvement potentials are assessed by developing scenarios for a Green dairy. This work perfectly combines two of our main fields of expertise: food production and energy technologies. In 2000 the FPI membership association was founded and developed since then towards an acknowledged innovation cluster in the food sector. "Access to knowledge, partners, solutions and markets and thus strengthening the competitiveness of small and medium sized food companies” - this summarises best the FPI´s mission. Main objectives: the facilitation of innovations, the creation of co-operations, the establishment of international networks. Being a network for innovation in the food sector, the transfer of knowledge and the dissemination of research results is FPI´s daily business. In SUSMILK FPI is leading WP9 on dissemination and exploitation. Developing an open innovation tool to foster the community groups. T2I t2i – trasferimento tecnologico e innovazione s.c. a r.l. T2I incorporates Treviso Tecnologia and Polesine Innovazione. It is a no-profit agency that aims at promoting an innovation oriented business culture operating in three main areas: (1) Innovation, technology transfer, R&D support services and project management; (2) Vocational and management training and start-ups support; (3) Integrated services for agro-food quality, instrument metrology, safety, environment & energy, Product Testing and IP. T2I is involved in the definition of a dissemination strategy and plan for the dissemination of results as well as in the management of the exploitation of IP findings (WP9) in order to maximize the project impact.